The snowshoe or winter hike to Lost Lake is not as daunting as the name suggests. 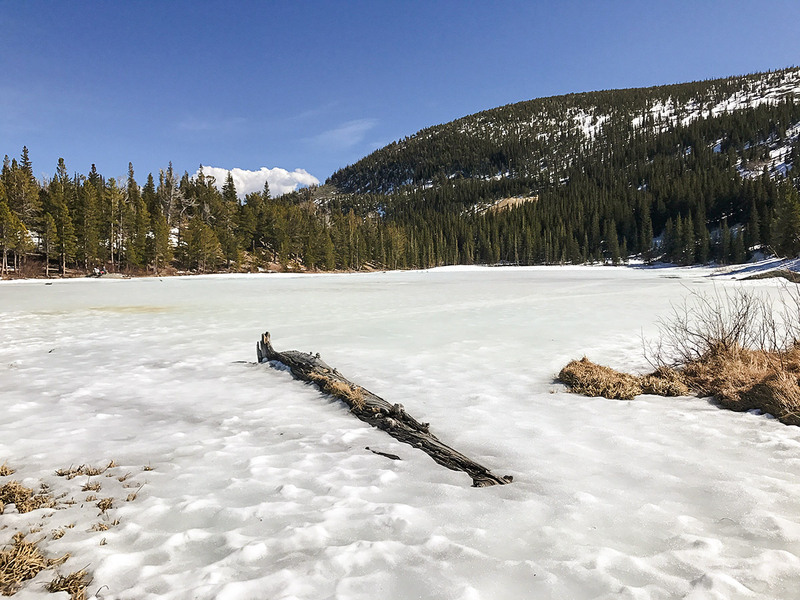 Lost Lake is a very popular, family-friendly winter hike but that does not mean it is not worth checking out if you are not towing behind a kid or two. It offers great mountain views along with some mining history at both the trailhead and the destination! From Boulder, Colorado, head up Boulder Canyon 119 towards Nederland (approximately 29.0km) and enter a traffic circle. Take the third exit out of the circle, South onto N Bridge St. / Peak to Peak Hwy. Continue through the town of Nederland and just outside, turn right onto Eldora Rd towards Eldora Ski Resort. Travel through the small town of Eldora through the only stop sign in town; arriving at a closed gate. Parking is available along the side of the road. 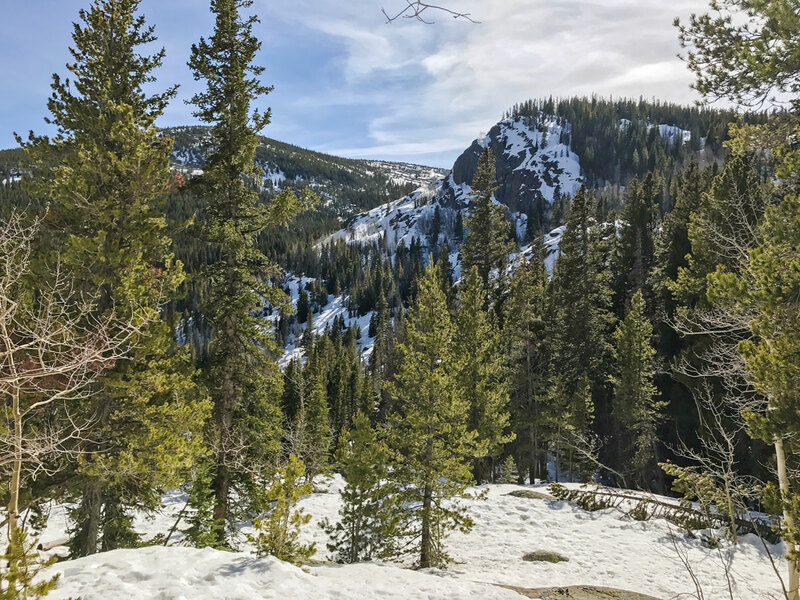 Lost Lake is a moderately easy winter hike that begins at the historic Hessie Townsite; an old mining town high in the Rocky Mountains. The Lost Lake hike offers a lot of bang for your buck, so to speak. Great views and can easily be done in a day with plenty of time to spare. 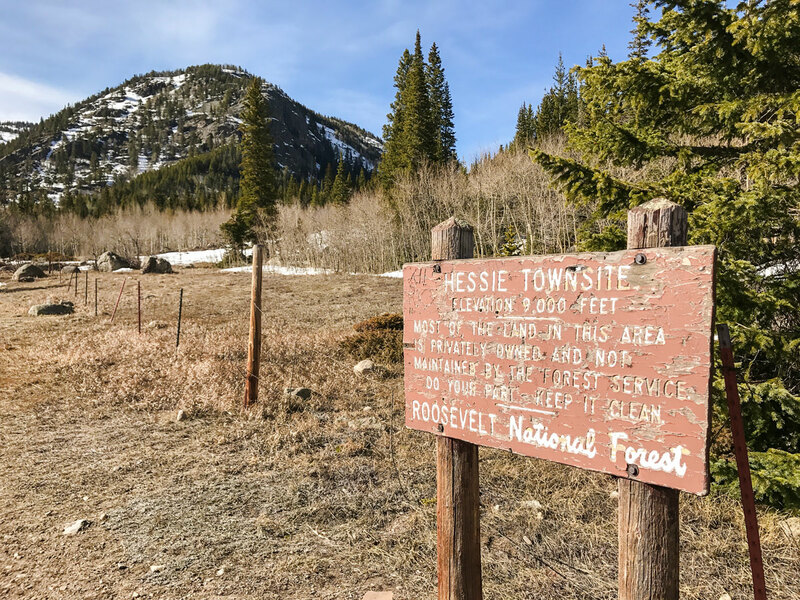 Begin the trail at the closed gate, hiking along the closed County Hwy 130 towards Hessie Trailhead, where there is a sign and map of the surrounding area. Follow the signs for Lost Lake, crossing over a bridge and onto a pretty hike through pine forests and aspen groves. A couple of switchbacks past an old log cabin has you gain elevation alongside an impressive waterfall. A short side trail spurs off from the main trail to a waterfall overlook point (worth the view)! Continuing on to Lost Lake, you will descend down into a small valley crossing over a bridge to the base of a second smaller waterfall. From this point, the trail climbs the other side of the valley all the way up to Lost Lake. From the lake, you will enjoy views of Mt. Neva and Mt. Jasper off in the distance. Snowshoes can be rented in the Town of Nederland at Happy Trails Café or Wild Bear Ecology Center.  Visit the Town of Nederland!